The Doulton W9223022 Imperial UltraCarb OBE Ceramic Filter has all the features of the Sterasyl and SuperCarb plus: Activated carbon block with ATS resin, Lead reduction Chlorine reduction and Organics reduction. 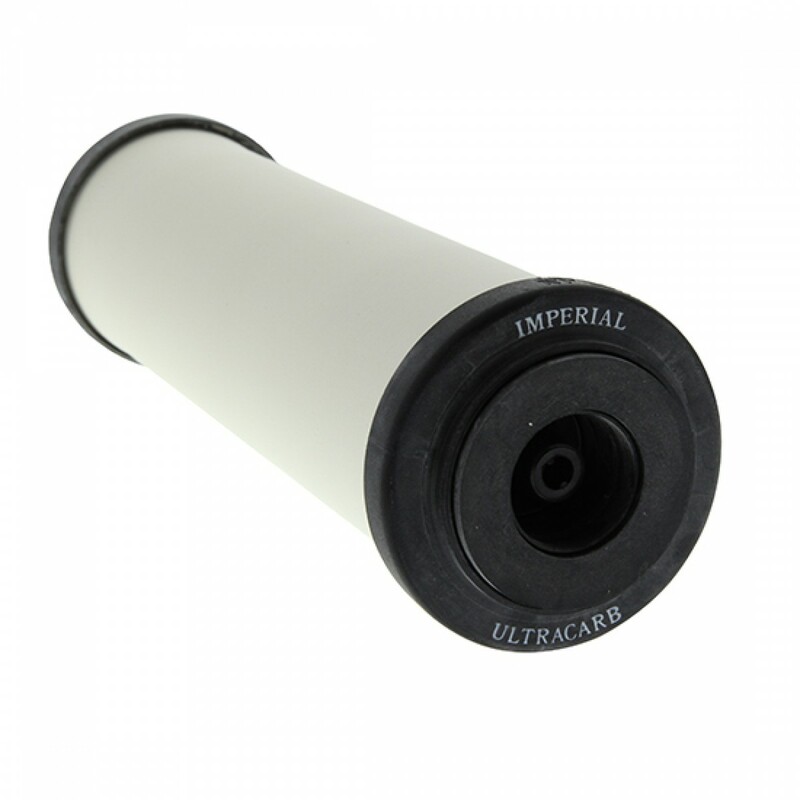 The Doulton Imperial W9223022 cartridge is open on both ends (OBE) and fits in standard 10-inch filter housings. 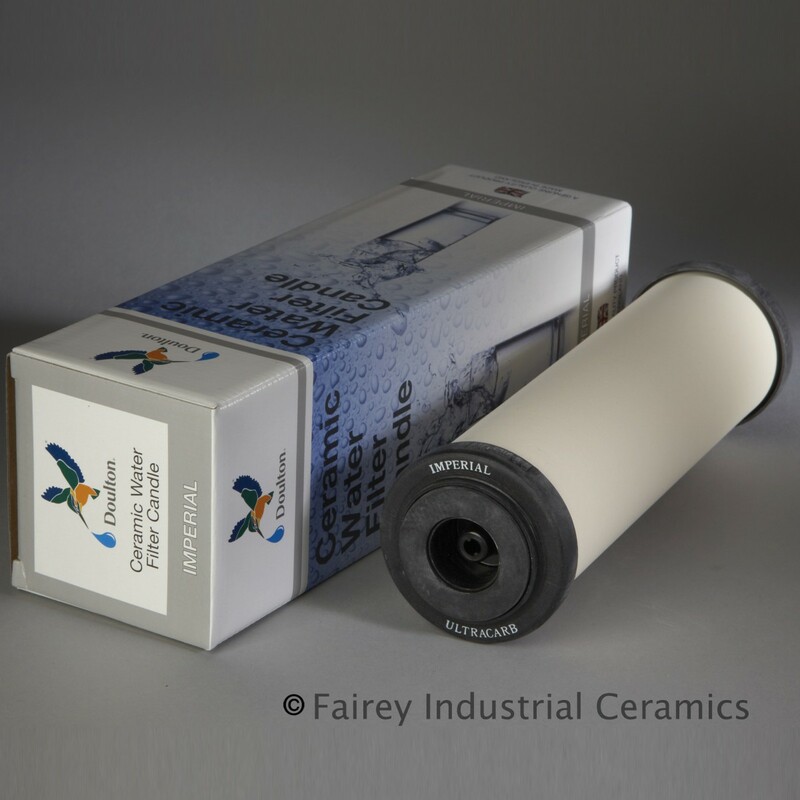 The Doulton W9223022 UltraCarb Filter features a Sterasyl ceramic outer shell and activated carbon block which removes chlorine and organics, and an ion exchange resin insert that specifically removes lead from water. W9223022 cleanable filter elements are designed to remove suspended solids, pathogenic bacteria, hydrogen sulphide, and lead. In addition, they will improve taste and reduce trace contaminants. At the heart of every Doulton ceramic filter is the Sterasyl silver-impregnated ceramic microfilter. Doulton ceramics do not remove the beneficial minerals from the water, ensuring The filtered water is enjoyable to drink and yet safe from harmful impurities. The Doulton UltraCarb Ceramic Filter is a self-sterilizing filter with submicron filtration at an economical cost! The Doulton Ultra Carb W9223022 features ultra carbon, is silver-impregnated, has a carbon block core and heavy metal removal media. The W9223022 has four filtration stages within a single cartridge and is open at both ends. First Stage: Provides genuine submicron filtration. The cartridge reduces fine particulate matter, bacteria, cysts and turbidity. Second stage: The incorporation of silver locked within the ceramic structure gives enhanced bacteriostatic and self-sterilizing properties. Third Stage: An inner core of activated carbon block removes chlorine and organic compounds. Fourth Stage: Ion exchange resin reduces Lead and other heavy metals. The Ultracarb ceramic filter is designed to be used in pressure filters. Not for gravity filter use. The Doulton Ultra Carb W9223022 Ceramic Filter is NSF certified. Doulton W9223022 OBE water filter fits in standard 10" filter housings.